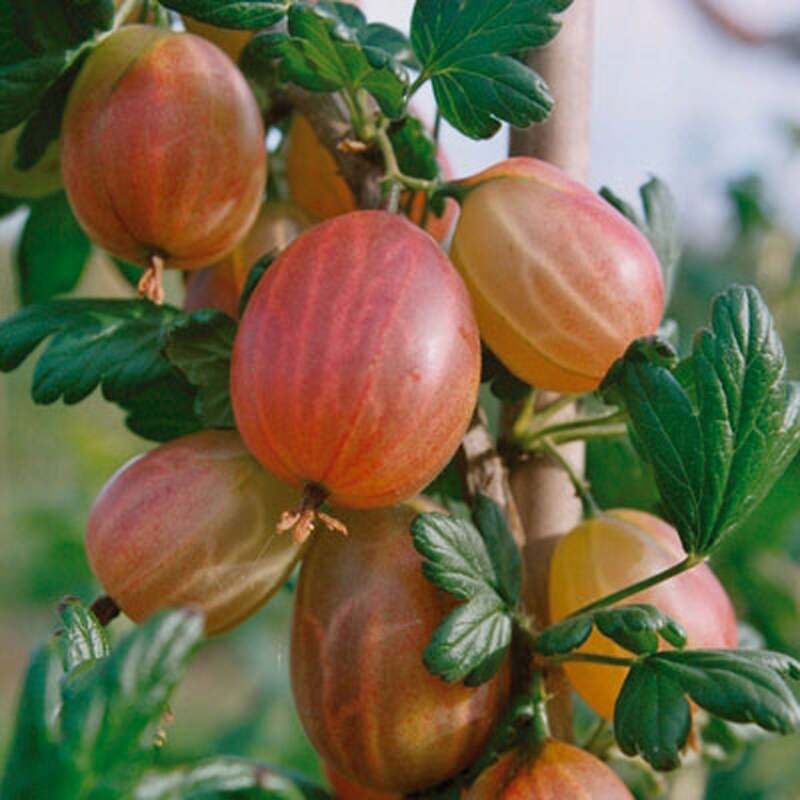 Gooseberry 'Xenia' produces heavy crops of large tasty red fruits, which can weigh up to 14g each and are sweet enough to eat straight away no need to cook first, many say it is one of the best new gooseberry introductions of recent years. Gooseberry 'Xenia' produces heavy crops of large tasty red fruits, which can weigh up to 14g each and are sweet enough to eat straight away no need to cook first. With minimal amount of protective thorns and some resistance to mildew many say it is one of the best new gooseberry introductions of recent years.